Pilot Point is a small fishing community located about 84 miles from King Salmon, 115 miles from Dillingham and 368 miles from Anchorage. It is located on the northern coast of the Alaska Peninsula, on the east shore of Ugashik Bay. 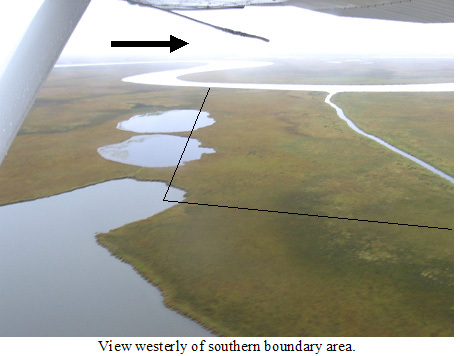 The Alaska Peninsula Wildlife Refuge is accessible by boat up the Ugashik River. Since the 1980s the population has ranged from about 64 to 100 residents, mostly Alaska Native People of Alutiiq and Yup’ik Eskimo descent. 159.9 acre Native Allotment with frontage on Dog Salmon River, 11 miles up river from the village of Pilot Point, Alaska. This parcel also have a large creek running through it and small lake frontage.